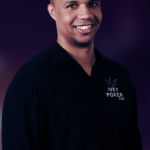 Along with my Top Pair Home Game Poker Podcast co-host Bruce Briggs, I recently interviewed Chad Holloway, the Senior Editor at Pokernews.com. He’s also a World Series of Poker bracelet winner. Below, you’ll find the entirety of Episode 217 of the podcast, which includes the interview with Chad starting at the 12-minute mark. You can also read the summarized transcript below. 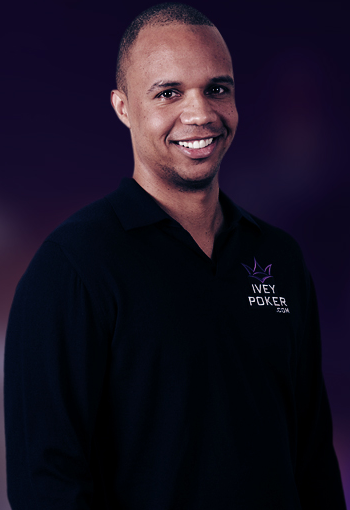 So we have a special guest with us today Chad Holloway – the Senior Editor of Pokernews.com one of the most popular poker sites online and he is also a WSOP bracelet winner winning at the World Series of poker last year. 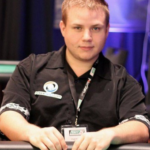 Chad welcome to the Top Pair Home Game Poker Podcast. Great to be here speaking with you both. So a lot of people are familiar with your work. 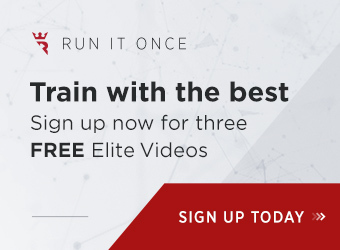 Tell us a little bit of how you got your start and got interested in poker in the first place and how you started the in the poker industry. I’ve really been interested in poker for as long as I can remember. I’m 31 and recall playing 5-card draw with my friends when we were 5–6 years old. We started out playing for French fries! That slowly progressed as we got older we were sort of playing for, you know, baseball cards and then into quarters and cigarettes, then at some point $20 tournaments. While my friends stopped playing at some point I always continued. When I went off to college I amped things up a bit, bigger stakes and tournaments. This was back in 2005–2007. The games back then were big and juicy and I did well. 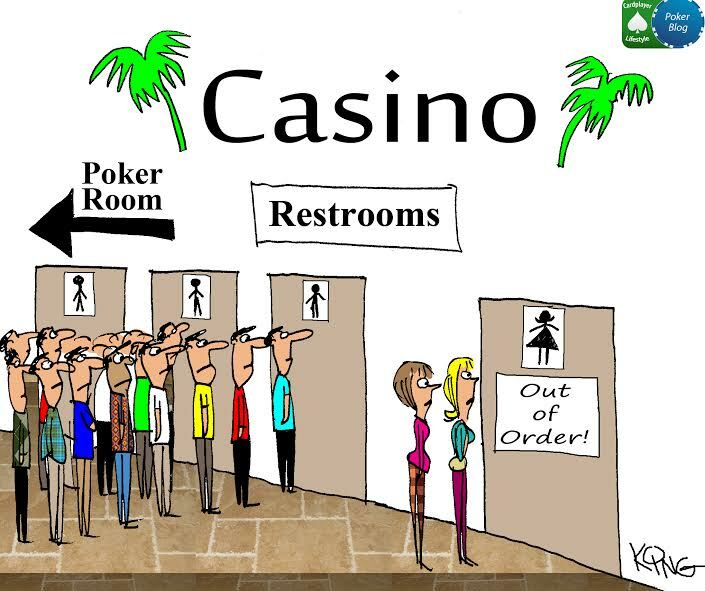 When I moved to New Orleans to attend law school, poker really became the biggest part of my life. I spent a little too much time at Harrah’s New Orleans instead of in law school so I ended up leaving after one year and didn’t really know what to do with my life. 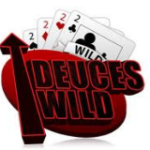 I moved home to Wisconsin where I found a small gig writing for a poker website. I’ve always had a knack for writing. Did that for a year and then I decided to really pursue the poker media writing side of things. After putting in my dues, writing a resume, and working my way up the ranks, I’m now the Senior News editor for Pokernews and I get to travel the world. I’m still shocked as I say it. I went there for 2 semesters and would skip class to go play in the poker tournaments. I just realized that that path wasn’t for me. Thankfully it all worked out. How did your family take your decision to get into poker after leaving law school? They’ve been incredibly supportive and always have been supportive of everything I do and have done. You could come up with some crazy story of wanting to move to South America to do something and they would support it. They trust me that I know what I’m doing. They don’t know or play poker really, but they know what I do and trust in it and know that I’m pretty good at it. So what did “paying your dues in the industry” mean? I got that small gig writing poker material for a sports betting website. Like $10 an article. I went up to all the poker magazines and websites and compiled a list of contacts of the editors-in-chief. I sent them emails asking for advice and if they took freelance submissions. I was looking for a break. 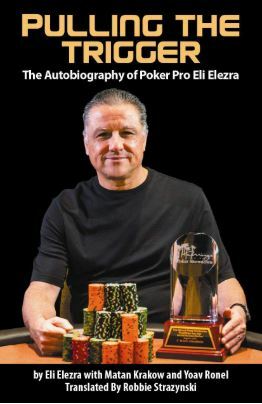 I found it from the editor-in-chief of PokerPro magazine, who accepted a monthly column of mine to write about Fantasy Poker. This really helped me build up a resume. This led to an internship with Bluff Magazine in 2009, just for the WSOP. I went there and met Mickey Doft, who was a field reporter for Pokernews. I didn’t even know Pokernews at the time, just Bluff and CardPlayer. In 2010, I made the decision to pursue a teaching degree back here in Wisconsin. I took an accelerated course and put in almost 3 months, 5 days a week, working towards that. But on a whim I sent an email to Mickey to see if I could work the 2010 WSOP. 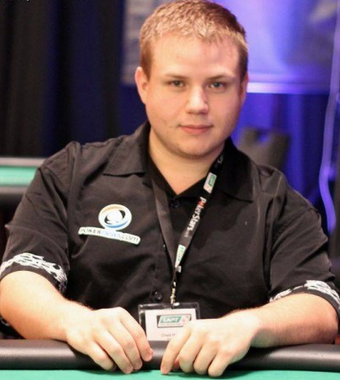 I got in return an offer from Matt Parvis, Head of Content at Pokernews to work there. They said they’d bring me out and pay me a really hefty sum of money to do the job. I was taken aback by the offer and though I didn’t intend to do the 2010 WSOP, the offer was too good to pass up, even though it was only for the 2010 WSOP with no guaranteed things would work out afterwards. I gave up the teaching degree after getting advice from all my friends, etc. A big decision in my life. Fortunately, things worked out and they offered me a full-time position. As a Senior Editor, what are the perks and what have been the highlights of your job? The opportunity to travel. It’s really a dream job. I’ve gone to South America, Australia, Europe, and Asia and gotten to meet awesome people and gotten paid all the while to do it. I’m getting paid to do something I love. 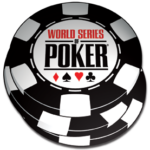 Plus I won a WSOP bracelet in 2013 – that never would’ve been possible if I wasn’t working for Pokernews. What a dream. I could pass away tomorrow and that bracelet win would give me a lot of solace, knowing I won it. It means a lot to me, especially being involved in poker as I am. I look at the bracelet and every time I do, I still can’t believe it. Did you ever think “hey I could do this professionally”? The first prize was $84k, but I was backed, so it’s not life changing money. Not the type of money you quit your job with and chase the tournament circuit for. It’s not an easy way to make a living. I don’t want to do it day in and day out, but there are ups and down. I work and play when I can, but it’s definitely opened up some opportunities. Because I won the bracelet lots of people were happy to invest and buy a piece of my action. I don’t have too much trouble selling action to get into these things and that’s a long-term benefit of being in the industry. So you’re not a professional player, but a 5-figure sum is still quite a windfall. How do you split that prize money re: bankroll, savings, life expenses, etc.? Half went to my backer. I don’t really play often enough to have a bankroll. I should, but it’s just not something I’ve done. I’ve always been a saver and I have lots of that money still. I take shots from time to time. Some of the money went to home improvements, so it was nice to have the financial leeway to do it. I wanted to do things with that money that would last. I’d never go and buy-in to a $10k event until I’m financially secure enough to do so. I’ll be playing tournaments in the $100–$1500 range for the foreseeable future unless I’m lucky enough to have another huge score. 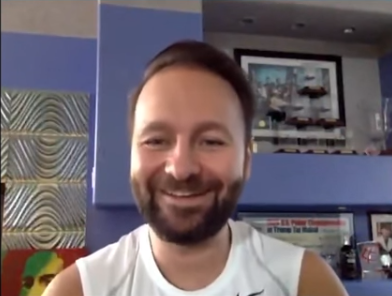 What poker superstar do you enjoy associating with and interviewing most? The fanboy in me gets giddy that lots of the players know me by name. 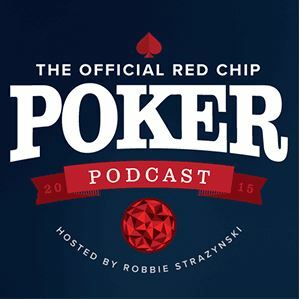 Antonio Esfandiari and Phil Laak are pretty awesome – both great characters and ambassadors for the game. 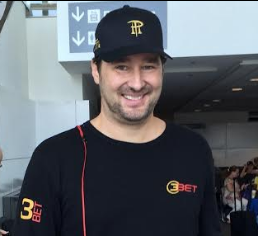 I get along with Phil Hellmuth very well; we’re both from Wisconsin and know a lot of the same people from this area. Jason Mercier too – I get to hang out with him socially and he’s friends with a lot of the guys I work with; a very funny guy and we’re both Dolphins fans. I sort of accidentally became a fan of Dan Marino and I’ve been a lifelong fan of the Dolphins ever since. 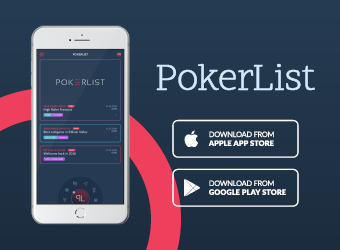 Our main focus is home game poker. What’s your home game experience? My friends and I used to play every single night for a couple of years. But now we’ve all got responsibilities, etc. We play a couple times a year and it’s fantastic. The stakes aren’t high, with a big winner or loser coming out +/- a couple hundred dollars. I personally like the wild games; I see enough Texas Hold’em when I’m working. We play a lot of off the wall games. Me losing $200 isn’t gonna break me so I can gamble a bit more than usual. The best part of home games for me is getting together with your friends and socializing and having fun. There’s something special about getting together with your buddies. I’ve never gotten invited to play in Phil Hellmuth’s home game, but I’d like to. Mark Kroon plays in it. I once got an invite to play in a game where Hellmuth was going to stop by. He did show up and play and it was awesome meeting him. What’s the political climate there in Wisconsin re: poker? Are home games legal there? 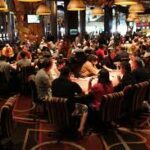 There was a great article a few days ago that talked about Wisconsin’s underground poker scene. People in Wisconsin play poker. The climate is that you can host a home game anytime and the law won’t come down on you. Technically it’s illegal, but as far as home games they’re pretty lenient so long as you don’t cause trouble. Plenty of police officers play poker and in home poker games in Wisconsin. It’s a shame that it’s prohibited in so many places, online and such. I’d be remiss if I didn’t touch upon one thing that those listeners not necessarily for Wisconsin or don’t know you from Pokernews may have seen that you have a nationally syndicated column. How did that happen? A gentleman from a well-known agency reached out to me and asked if I’d be interested in writing a nationally syndicated column. He knew me as a poker writer from Pokernews and with my bracelet it gave me credibility as a player as well. So each month I write the article and send it to the agency, which allows tons of newspapers to use the article. It’s my attempt to appeal to the masses and make poker mainstream. I want to try and legitimize the game and get people talking about it.